As said, there are two roles in affiliate marketing. Merchants, who create affiliate programs, and affiliates who join those programs. If you are interested in becoming an affiliate, this chapter will lead you through the process highlighting the most important things to have in mind when starting out as an affiliate. An affiliate is a participant in an affiliate program. Affiliates are also called publishers. Most commonly, affiliates are bloggers, content creators, and influencers, who create content online and use it to feature affiliate links. The more successful the affiliate is in building his or her online presence and gaining trust, the more success they will have with encouraging people to click on the affiliate links. The links can be promoted as a part of the text (a text link), or they can be placed as a clickable banner on the website or blog (an image link). Affiliates earn their commission based on the achieved conversions, and they are usually presented as a percentage of sales generated through the affiliate links. This is why the affiliates with greater authority are more likely to convert the visitors and increase the number of conversions. For affiliates (or publishers), affiliate marketing has become a great way to earn extra commission, with no or little effort from their end. All they have to do is to create content featuring the affiliate links and promote it using their usual methods for promoting content online. The affiliates do not have or send out the actual product. In fact, they are not even involved in the sales process. All they do is recommend the product and refer the visitors to the place where they can find more information and buy the product. With the development of influencer marketing and influencers who enjoy trust and respect from the online community, affiliate marketing has been a massively popularized way for the publishers to earn or increase their monthly income. Just like with merchants, becoming an affiliate is a process that includes several stages. It all starts with the online presence for the affiliates. They need a platform where they will publish their content, communicate with the followers and eventually share affiliate links. There is a broad category of dividing affiliates based on their online presence. This group includes bloggers and influencers that have already established their presence. They enjoy a significant amount of authority online which is often built through years of hard work. Their goal is to create content and to provide this content to online users. Affiliate marketing becomes a source of additional income for them. Affiliates who have already established their presence are usually quite selective when deciding which products to promote, and they are more likely to promote only those products or services they genuinely love and use. The main reason for this is the trust they enjoy. Even though they try to earn income from affiliate marketing, building online influence is a complex process and it is not worth jeopardizing this success by promoting irrelevant or low-quality products just for the sake of monetary compensation. The second group of affiliates includes publishers who are creating websites devoted to affiliate marketing and promotion of affiliate links through this website. Unlike the first group, here affiliates usually choose a niche they want to focus on as well as the products that would be promoted. For example, there can be a website for new parents (with baby-related products featured), or for bike enthusiasts (with bikes and gear promoted through the website), etc. Such websites often feature reviews and comparison of similar products or services. 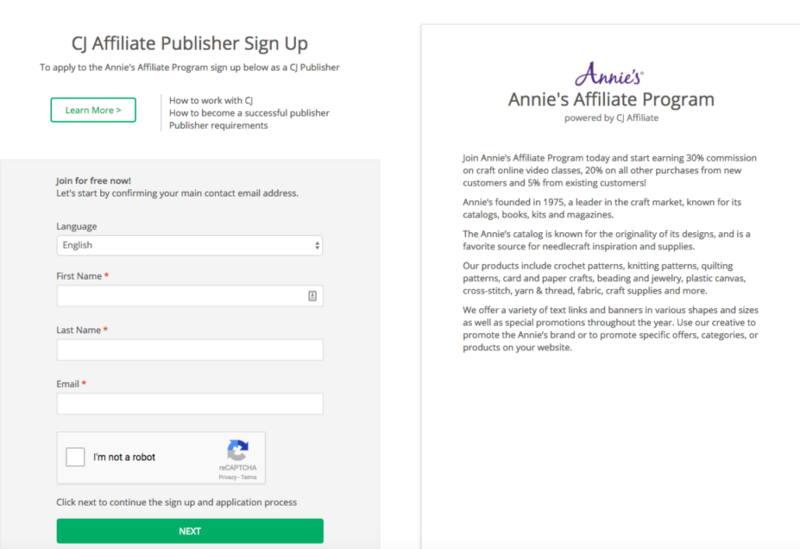 The publisher first creates the website and then it is time for creating content, with affiliate links and banners. Despite the fact that affiliate-devoted websites enjoy less influence than affiliate links shared by influencers, these links still reach online users and a certain portion of them will undoubtedly find useful recommendations. Online platforms to promote your content – These include your own website (or blog), social media accounts, forum profiles, etc. Basically, it is any platform where you have online presence which can be used to share affiliate links. Niche – You cannot simply start promoting just about anything because no one is a know-it-all. People expect you to recommend the products, so try to focus on one niche about which you know a lot and with products that you can really vouch for. Products (service) you want to promote – If you are creating an affiliate-devoted website, one of the essentials should be choosing the products, services or brands you want to promote. Now that you know which products you want to promote, it is time to find affiliate programs to join. One of the popular ways for finding new affiliate marketing opportunities is joining affiliate networks. These networks specialize in connecting merchants and affiliates and they provide an interface for them to collaborate. The alternative is looking for the affiliate programs directly on merchants’ websites. For this, you will need to search through a search engine. You look for a certain brand or product you would like to promote, and then you check if they have an affiliate program available. If there is an affiliate program available, the link with more information is usually displayed in the website footer. Relevancy of the product to your visitors – You should not bother promoting products that are unlikely to get your visitors interested because you will hardly see any profit from those links, even if the conditions offered by the merchants are amazing. Stick to the products that are truly relevant and which would be useful for your visitors to maximize the influence and the efficiency of these links. Commission rates – There are no universal commission rates, so this could be another reason for choosing one program over the other. Some merchants offer special bonuses and increased commissions for affiliates who deliver extra performance, so always check about all of the commissions and rewards available to you if you join the program. Cookie life – You do not have a say regarding the cookie life the merchants will offer, but this might affect your decision of whether to join a specific program. Minimum payments – Some merchants have certain minimums for issuing payments, which is worth knowing before you join. This minimum can be a threshold for the first issued payment, but it can also be required from month to month basis. Payment model – Merchants can offer one or several payment models. Since these models affect your commission and how likely you are to generate income through affiliate marketing, it is helpful to find out more about payment model(s) before you send your application. Having checked out all of the programs that are available to you and having selected the programs you are interested in joining, start the application process. You will have a form to fill in which features the information about you (or your company), user details, and website. Other information may also be required such as the address, phone number, social media accounts, etc. Some merchants may require you to join a particular affiliate network which is their partner and helps them manage the program. In this case, you will first find the information about the program on the merchant’s website. By clicking on the link, the merchant redirects you to the affiliate network profile, where you will need to either log in (if you already have an account) or sign up to create a new account. Once you become an affiliate or a publisher, your next task is to start promoting the affiliate links. Consider this as a promotional campaign that is supposed to help you increase your profit from your online activities. Therefore, it is advisable to plan this strategy and explore your options that can help you improve the exposure of the affiliate links. Think about this strategy as an approach you want to design, an approach that will help you earn commission, but still maintain your credibility and respect in the online community. You do not want your content to become just a big sell-out. You want to think how to integrate affiliate marketing without disrupting your overall presentation and online marketing strategy. A lot of affiliates disclose information about them earning commission through affiliate links. This helps you inform the visitors and be honest regarding the content, which is something the users will appreciate. Just because you decide to promote a particular program through affiliate links, it does not mean that you should start promoting anything. You want to keep your reputation and be genuine, so you should only promote products that you really have used or you know for a fact that those are truly something that your followers would appreciate. Another thing that contributes to your reputation is relevancy. Therefore, make sure the products you feature on your website or blog are relevant to your target group. Promoting irrelevant products can harm your reputation, but more importantly, it has a small chance of generating revenue for you because hardly anyone will click the link. With irrelevant products, you fail at targeting your website visitors. Apart from you, there are hundreds, if not thousands of other affiliates, who are promoting the same merchants. To make sure your content is the one that gets the most exposure and the highest rank in the search engines, be creative. Use engaging images, catchy title, and high-quality narrative. Some affiliate links can be promoted all over the place, including your website homepage, a side banner on a blog, etc. while some are just not suitable for this kind of a promotion. Try to stay organized and keep track of all the affiliate links you are promoting. Some of them will simply be mentioned in a blog post, with a relevant anchor text directing the visitors to the right page. The main reason for this can be the relevance of the content promoted in the affiliate link. That content might be relevant to the actual article, but it might not have a place on the homepage. As with any type of marketing, you cannot expect any results if you are not doing your best to implement and monitor the strategy with clear goals and approach in mind. Affiliate marketing is a great type of passive income, but it requires an organized approach to maximize its potential. Your job does not end here because you will need to regularly monitor the affiliate links to check if they still work and to analyze their performance. This provides insights into how those products resonate with your followers and what you can do to make affiliate marketing even more successful for you in the future.